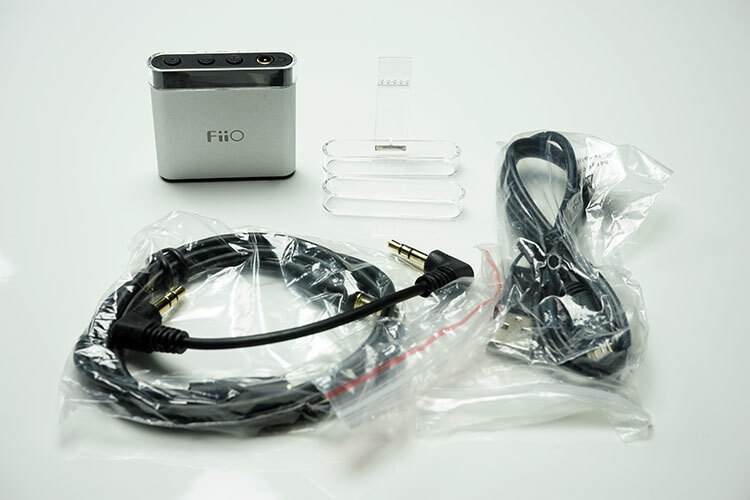 The is the second time we reviewed an A1 from FiiO only this time they switched the “A1” tag from a budget class-D speaker amp they launched in 2011 and stuck it on the latest generation of the old E6 micro amp launched also in mid-2011. The E6 in turn was an upgrade on the previous E5 launched I believe in either 2008 or 2009. Still with me? FiiO made its name with little portable amps such as these costing nothing more than a few bucks and was generally accepted as the de-facto standard first portable amp you should try if your phone or DAP wasn’t squeezing enough juice for your cans or IEMs. I saw quite a few of them in meets over the last 8 years and had one myself I think in 2010. 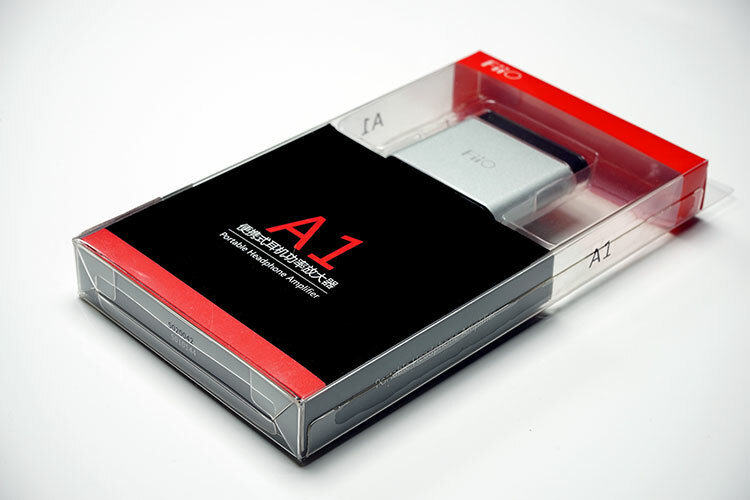 The A1 is the third generation of the original E5 portable micro amp and in terms of form factor it feels like FiiO have gone a full circle in design. The A1 looks far more like the E5 with the E6 design consigned to the digital dustbin. Overall its 4g heavier than the old E6 and 10g lighter than the old E5. FiiO have also gone back to their roots in the materials used in this series with the A1 marking a return to a metal (aluminum) chassis much like the E5 and dumping the lighter but all plastic look and feel of the E6. I do like how they managed to stiffen things up considerably with the A1 build but managed to keep the weight just 4g more than the plastic E6. The form factor is more in line with the old E5 with a return to a smoothed rounded chassis rather than the squared shape of the E6. Certainly physically it looks a more comfortable bed fellow to the old E5. It does retain the detachable transparent plastic clip of the old E6 though this time its central and vertical rather than running at an angle from one of the corners. The rear panel of the A1 remains largely unchanged down through the years with a single USB port for charging and analog input jack though the USB port has changed from a mini to micro format. Instead of an all in one slider switch for power and volume as well as EQ from the old E6, FiiO have returned to dedicated independent buttons on the front panel of the A1 in a nod to the simpler format of the E5. Personally I think this is a good move. Not only have they throw in some decent Alps micro switches for volume control but in my opinion they have made the usability of the A1 a lot simpler and more intuitive than the E6. Both the input and output jacks are gold plated with the headphone jack on the front panel to the far left and the power button to the far right. The power button does double up with some EQ options as is the legacy of this micro amp right back to the E5. The tweaks outside of the stock flat response focus entirely on the bass response and are denoted as Bass one, two and three. This time it seems FiiO have dropped the whole lowering of the gain option to prevent clipping that was an option on the E6. You can access these options through the power button and you will know which EQ you have selected with the amount of flashes a central blue LED light in the power button gives you every two seconds. Continuous is flat, one flash is Bass 1, 2 flashes is Bass 2 and 3 flashes is Bass 3. 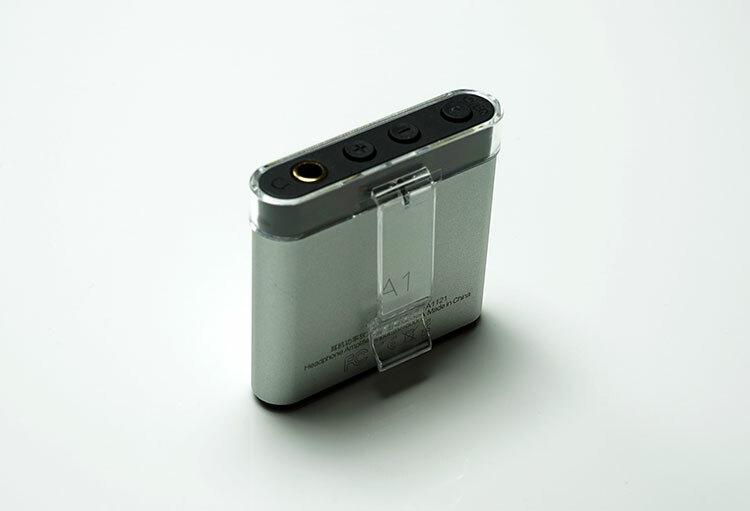 The A1 uses a 160mAh li-poly battery. Charging time has also increased from the E6 by 3 hours from a rated 10 hours to 13 hours with a marginally shorter time to charge to full from 2 hours down to 1.5 hours on a 5v USB connection. You can monitor your battery level through the single LED light at the center of the power/EQ button. When low the LED light will turn red and flash, red and continuous when charging and fully green when charged. Pretty pleased to see a decent set of accessories for a $30 micro amp, something which FiiO have always managed to do even with the E6 and E5. Inside you get 2 x 3.5mm IC cables; one short right angle jack IC and one long straight jack IC, which is great for stacking or desktop usage. As well as that you also get a charging only USB to micro USB cable, a spare transparent plastic clip and user guide. It is a shame FiiO opted to not include the micro IC connector from the slightly more expensive Q1 package which would have been superb given the dimensions of the A1. Tonally the A1 is warm to neutral, clean sounding but with a tiny peak and a very slight touch of glare in the upper midrange and lower treble. Bass performance is reasonably neutral with a tiny bit of sub bass roll off but of course can adjust this profile with the bass EQ if this is not to your preference. Vocal control is average with a touch of sibilance but certainly more present than on my BB Passport and slightly more forward and engaging. Dynamics and staging are also much better than my BB Passports amp which was made to sound rather compressed in comparison. Overall the A1 is reasonably balanced tonally, will not introduce any noticeable amount of coloration from the source but certainly will work wonders for some limp smartphone amps on slightly less efficient IEMs and headphones. Tonally things do change though when you start adding in the Bass EQ options. Probably the most likeable bass EQ setting and brings a bit of added warmth and fullness to the mid bass performance of the A1. For those using relatively flat or neutral headphone and IEMs this would be the go to option for adding a little bit of bass weight without it getting too pervasive and bleeding into the mid-range performance. This retains the Bass EQ 1 bass response but at the same time drops the mid-range and treble response down by a few dB to further enhance the bass dominance. This EQ feels somewhat attenuated and more compressed with a drop in sparkle and dynamics than EQ1. Vocals and lower treble lose that glare but become a little recessed in comparison to EQ 1 and the stock or non EQ response. Not sure why this one is called Bass EQ 3 because it really doesn’t affect the bass at all. Rather this is a repeat of the old EQ option of the E6 which allowed you to drop the entire signal by a few dB for sensitive IEMs with a view to giving you a little bit more micro control on the volume steps. Otherwise it’s pretty flat much like the non EQ stock signature. This is a relatively small amp but it is still more powerful than the average smartphone amp. Definitely I got a little added juice, staging and dynamics with higher impedance IEM’s such as the 30 ohm Noble 4C and Savant with the A1 plugged into the BB Passport. Relative gain is around 3-4dB at the most so the benefits will be heard on average feature or smartphones than any specific DAP which these days are far more capable than when this little fellow first saw the light of day in 2008. The A1 though will not work well for noise levels with quite a lot of IEMs regardless of impedance even at bass EQ 3 levels. 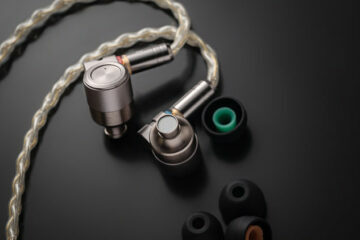 IEM’s such as the Campfire Jupiter, Shure SE846 with very low impedance or high SNR ratings hissed audibly and continuously with the likes of the Westone W4 and Ultrasone Tio also suffering from hiss though on a slightly lower level. Further hiss was detected on the RHA T10, Noble 4C and Final Audio Heaven VIII. Even at a budget level IEMs such as the Fidue A65 carried a bit of hiss. The one universal IEM I tried that successfully avoided any hiss was the Obravo ENIB-5A which is a planar type IEM and needs a heck of a lot of juice to get going. My suggestion to you is try before you buy if you want to pair with an IEM and do not like high noise levels. Portable headphones were a different matter though. Budget headphones such as the Don Scorpio Dolphin with a 16 ohm and 116db SNR level suffered from very little hiss and sounded absolutely excellent with the A1. The same also for the AKG K182, the UBSound Dreamer and V-Moda XS; decent amplification, no noise and a good level of dynamics. Bass EQ1 and 2 was also quite noticeable on all the portable headphones I tried with perhaps the Dolphin and AK182 having the most noticeable response with a heavier hitting bass performance. If anything I felt the A1 was most at home with a smartphone and a portable low impedance headphone such as the ones suggested above and slightly less so with IEM’s unless noise levels are not a big issue. I am not sure if that is how FiiO saw it play out given the predominance of IEM’s attached to smartphones but the A1 will struggle to stand out and sound better than most good DAP’s. even its own $55 M3 DAP so smartphones are the target market. The A1 is $30, tiny, well built and packs an ok starter amp inside that will be an upgrade on any amp inside your smartphone in terms of gain control, staging and dynamics in general. It has a reasonably balanced sound signature with a tiny bit of peaking in the lower treble but overall stays neutral with a hint of warmth. Bass EQ1 is an excellent addition for bass light headphones with a nice full sound and increased low end warmth and works pretty good on anything with a lean bass signature. It does however carry higher than normal noise levels which makes it an awkward match for just about any IEM I threw at it with average to high levels of sensitivity and seems more suitable to portable headphones as a result. It’s amp, though stronger than smartphones, is not a huge step up these days and slightly higher priced DAPs such as the excellent M3 from FiiO which retails at $55 do sound more refined. Modern day DAP’s have come a long way now since this range of portable amps first came out and its relevance seems slightly diminished as a result. That being said the A1 remains a relatively low risk upgrade for first time users wishing to dabble a little in this madness we call Audiophilia. Can you please review topping NX2? Would I hear any difference with my shure se215 special edition and this amplifier? 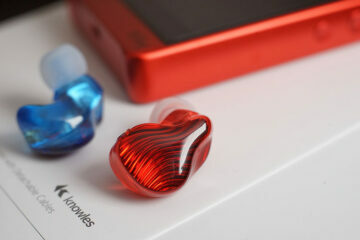 Or is it better to save more money for something Fiio K1, which is also a DAC? What is your source that you are using the Shures with? I tested a lot of IEMs and I got low level noise so I am not 100% on the 215 being noise free. 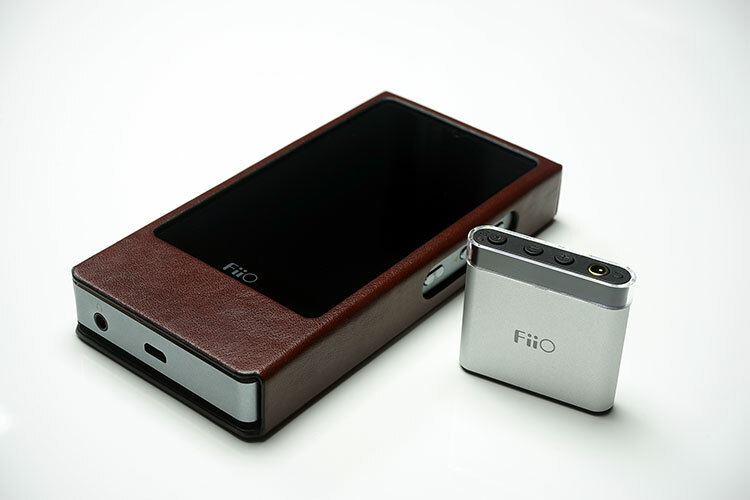 Better bet is the FiiO Q1 is you want a DAC and an amp. Might be a year late but pick up yourself some 3m Dual lock strips, it’s a perfect match to attach your dac to your phone, snaps in place and sticks!